When I first wrote my play “Soliloquy for a Seamstress: The Triangle Shirtwaist Factory Fire” I randomly selected the Saracino sisters without knowing where they lived. After David Von Drehele’s book listed the addresses, I learned that the Saracino sisters lived in East Harlem–where I grew up–only two blocks away from our home. My family has a 100 year history in East Harlem. To me it was fate that I selected the Saracino sisters. These images show portions of the play, as I performed it in 2011 in a continuous public street performance with a traveling audience at three historic locations. 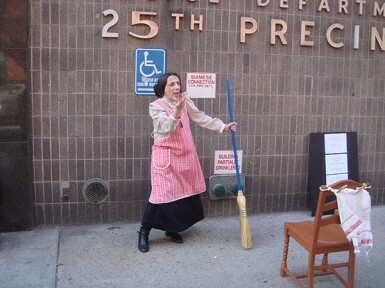 First I appear as Mama Saracino performing in East Harlem at the site of the family’s apartment 118 East 119th Street, now the 25th Police Precinct. 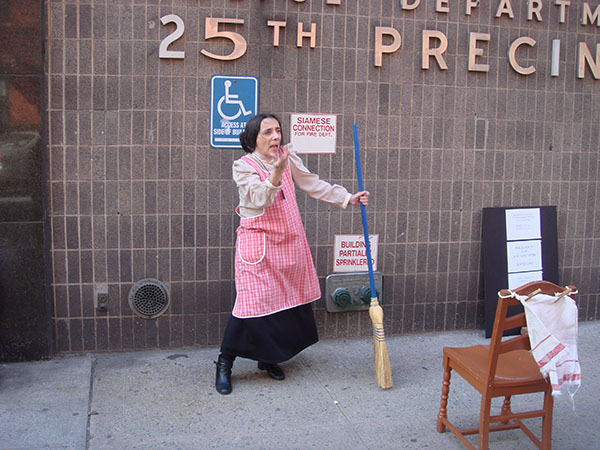 This on site performance brought back memories of my own immigrant Grandmothers. 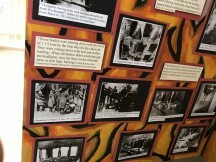 It was important for me to share the East Harlem history of the Triangle fire on site with the community. Next, I appear as Sarafina Saracino, sharing drudgery and dreams with her little sister Tessie, unaware they are about to perish in the Triangle Factory fire. 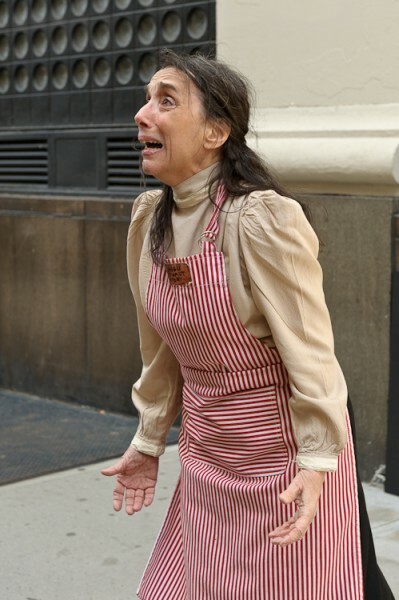 Finally, I appear as Sarafina Saracino in front of the Triangle building at Washington Place and Greene Street, I felt the ghosts of the victims during this performance. The emotion I felt was chilling when I threw myself on the pavement as if I jumped from the window. 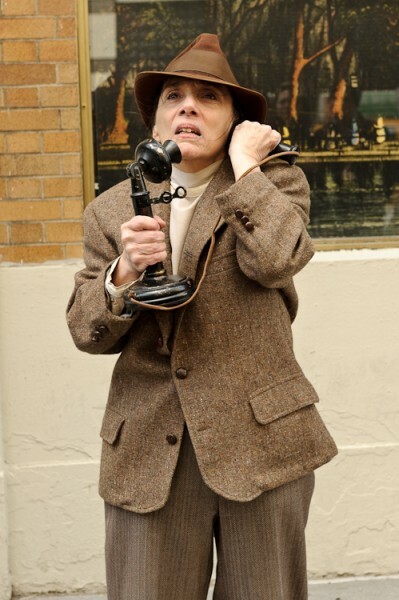 In other portions of the play, I am William Gunn Shepherd reporting the fire on a telephone from a pharmacy across the street from the Triangle building, gesturing toward Washington Square Park and the Garibaldi Statue where he was standing when he saw “the big puff of smoke…rising from the Asch Building.” And later, I am Shepherd again at Collect Pond Park (site of the Criminal Court Building) at Lafayette & Franklin Streets reporting over the telephone on the infamous trial and the verdict that acquitted the factory owners of any blame for the tragedy.